Admitting that he was happily sliding into middle-age, fairly sure he knew all that he needed to know about the world, Ardal O’Hanlon has been jolted out of that complacency by recent world events. The good news is that this has meant the Irish stand-up, writer, and star of such TV hits as Father Ted and Death In Paradise has felt compelled to write a new stand-up set, The Showing Off Must Go On, which he’s preparing to tour across the UK in 2019. “There’s an awful lot to talk about,” Ardal admits. “Especially in the last two or three years, the world has changed dramatically. “There are lots of new things to deal with. I thought I’d cracked everything and then suddenly you have to completely re-engage with the world as it shifts. There are always things to say, but at the moment there’s a kind of urgency. “I think as you get older you have to be true to yourself. For me, it’s more about material rather than just gags; it’s about expressing yourself and it has to be based on real feelings and emotions. Inevitably, the likes of Trump and Brexit will raise their less than pleasant heads, though in Ardal’s hands, the treatment of the work will be typically off-kilter. “I think it’s incumbent upon a comedian to find clever and imaginative ways to come up with stuff. I personally prefer watching comedians who aren’t too blunt or too partisan, so while I have strong political views, I don’t want to hit an audience over the head with them. “Comedians have to be cannier than that. I’m not going to mention Trump or Brexit by name, but I hope to be able to do stuff on them while trying to keep it a bit light and user friendly. “What seems clear about these events is that feelings will always trump facts in making decisions. All the decisions we make in life are irrational: our consumer choices are irrational, our choice of life partner might be irrational. As well as displaying his talent for a decent pun, the title of Ardal’s touring show reflects the part of his personality that he’s had to draw upon to get on in the entertainment world, despite his upbringing doing everything it could to dampen that spirit. “I’m a very reluctant show-off,” he says of The Showing Off Must Go On. “I come from a part of the world where showing off is anathema; it’s the worst thing you could possibly do. This left Ardal feeling somewhat conflicted. “I love stand-up comedy and I love performing, but I was always conscious that this is showing off and I’m slightly uncomfortable about that. As Father Dougal McGuire, Ardal charmed the socks off the nation when Father Ted reigned supreme on Channel 4 in the late 90s. Although he’s not involved in any way with the proposed Father Ted musical (‘I wish them well with it’), he still looks back with fondness on the Craggy Island-set sitcom which helped raise his profile in Ireland and far beyond (the show proved popular in Australia and America). “I’m so grateful of the show and proud of my part in it. I sometimes pinch myself that I was in it and that it was so successful. “I was in the throes of a burgeoning stand-up career at the time when we made it, and that was always my focus at the time; we’d be rehearsing during the day and I’d be gigging at night. “I arrived in London the year before and things were going well for me, and Father Ted was almost like a distraction from that, a brilliant distraction obviously. After Father Ted, Ardal’s stand-up career took off as he toured in front of sold-out crowds across the world, made acclaimed festival appearances in Edinburgh and Montreal, filmed his own stand-up special for Comedy Central (US), released two live DVDs, and appeared on Live At The Apollo. Meanwhile, in 1998 he published a bestselling novel, The Talk Of The Town, which was translated into several languages and voted as one of the 1001 Books To Read Before You Die. Also on the TV front, he’s starred in BBC’s My Hero as a regular guy called George who also happened to be Thermoman, has played the lead detective in Death In Paradise for the last two years, appeared in Doctor Who and Skins, and presented several documentary series including the upcoming BBC NI programme about Irish showbands, Showbands And Me. On the big screen, he played concerned dads in coming-of-age dramas Twice Shy and Handsome Devil. 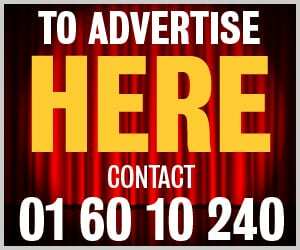 But stand-up remains his first showbusiness love, and Ardal is getting almost giddy over the prospect of taking another show onto the road. “I’ve been lucky to have other dimensions to my career, but I’m constantly drawn back to stand-up; there’s something compulsive about it. “For this tour, I’ll have a modest saloon car and my little bag of jokes and a toothbrush. I always enjoy touring, and going up and down the country. 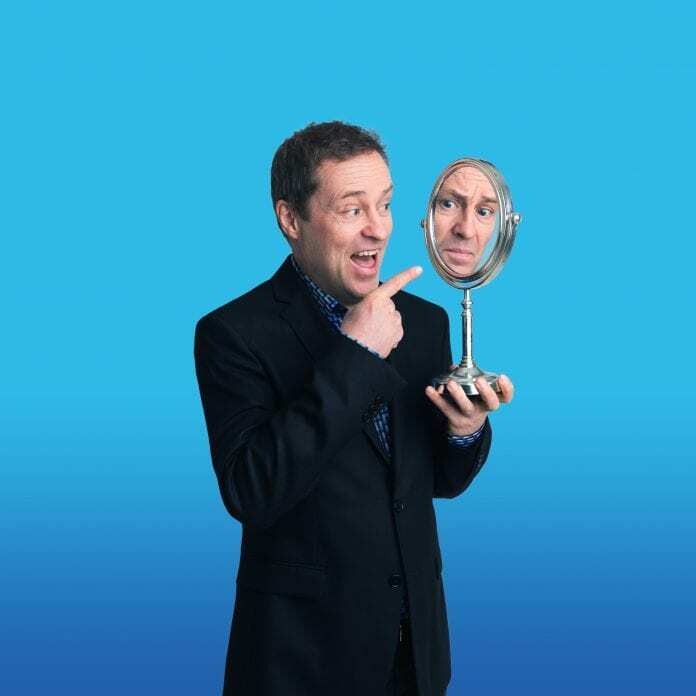 Ardal O’Hanlon will play Vicar Street on November 9. Tickets are available here.